Over 600 abandoned Cats and Kittens benefit from Best Friends Pet SuperCentre “Think Adoption First” program. “Think Adoption First” – is the motto of Best Friends Pet SuperCentre and a belief that The Lost Dogs’ Home has worked hard to promote for nearly 100 years. For the past 20 months Best Friends Pet SuperCentre has been working with The Lost Dogs’ Home, as a valued partner, helping to rehome more unclaimed and unwanted kittens and cats. Since launching the “Think Adoption First” program in association with The Lost Dogs’ Home, Best Friends Pet SuperCentre have rehomed over 600 kittens and cats to loving families, doubling the adoption rate of abandoned kittens at the Home. Best Friends Pet SuperCentre has four stores now open in Victoria, which in turn means the Home also has four more cat adoption centres in Melbourne and Geelong. Adopted recently from the Best Friends Pet SuperCentre Maribyrnong was a lovely tabby kitten Bob. Greg and Rose Gow often visit the Maribyrnong Best Friends with their kids to look at the animals such as the Home’s cats and perhaps buy a few treats for their Jack Russell Cody. However on this occasion the Gows found themselves enamored with the little tabby kitten playing in the enclosure and could not leave him behind. 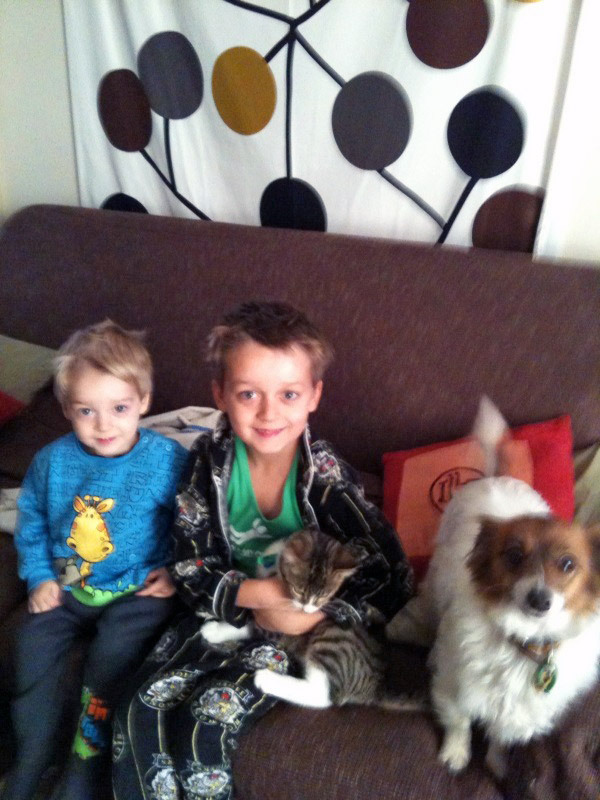 When Greg and Rose told their kids they could adopt Bob, they were beside themselves. Bob has since settled in well with the Gow family, though he still has to win over Cody the dog who remains cautious of the playful Bob. But the rest of the family couldn’t be happier: they all love Bob to bits and he has provided a distraction from the Nintendo Wii! If you are considering adopting a kitten or cat and can’t make it into The Lost Dogs’ Home, perhaps a Best Friends Pet SuperCentre is more convenient for you. They have stores located in Geelong, Maribyrnong, Thomastown and Point Cook. For further information visit http://www.bestfriendspets.com.au. All kittens and cats are desexed, vaccinated, wormed and microchipped and health assessed. Adoption costs are the same as The Lost Dogs’ Home, kittens are $130 and cats are $90. Best Friends Pet SuperCentre do not profit from the adoption of kittens and cats in their stores.